Qualifications: Diploma in Hypnotherapy; Certificate in NLP with specific application to Hypnotherapy and Coaching; Certificate in Thought Field Therapy, Algorithms; Certificate OldPain2Go. 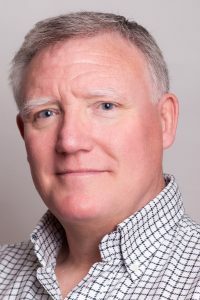 Specialisms: Barry is able to treat a wide range of issues from anxiety to breaking negative habits to help with sleep issues, however he does have a special interest in using hypnosis for past life regression. Prior to qualifying Barry worked in the legal profession for over 40 years and had been running his own business for 29 years. He was feeling unfulfilled, however, and over the five years he studied and trained to obtain his qualifications, he experienced first-hand how the various therapies effectively, powerfully and positively change lives. These experiences have made Barry more enthusiastic and passionate to help bring change to your life. The changes, wellbeing and happiness Barry’s therapy sessions have brought to the many volunteers who assisted him to qualify has brought their own rewards and is a driving force for him. Barry charges £65 per hypnotherapy session for individual private therapy and couples therapy.